Spring hasn't sprung quite yet we are still finishing up a cold winter here in Eastern North Carolina! The children are ready for Spring, warmer temperatures, flowers to bloom, and of course with Spring comes Easter and Spring Break! I had the opportunity thanks to Zondervan Kidz to review "Bunny's First Spring" which was a great book to teach my children about the changing seasons and what is to come! 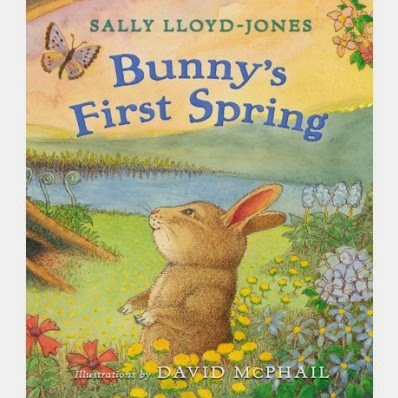 Sally Lloyd-Jones' "Bunny's First Spring" is a children's book celebrating the Easter season and the rebirth of the Spring Season. In the story we follow a baby bunny born in the Spring who goes on to learn about the seasons changing and what comes with the change of the seasons. The bunny enjoys spring but starts to be frightened and worried about the Earth dying as the seasons change. The story in a way is like the rebirth of Christ with His Death came life. With Winter and the hibernating sleep the bunny goes into with his family he learns that life can be resurrected from death upon awakening in the new Spring. and with Easter coming up this would be a great addition to your children's Easter Basket! I would recommend for children ages 4-8, be sure to answer any questions your children may have after reading this book. Its a good opportunity to teach your children about the seasons changing and that with death that new life is reborn especially in nature! Thanks to Zonderkidz for the opportunity to review this book in exchange for my honest review.